The HIVE paid parking lot is available to guests on weekends and weekdays after 11 am. We are a 4-block walk from the 19th Street BART stop in Oakland. We'd love to host your special event! Calavera’s diverse menu celebrates the unique and layered gastronomy of Mexico. 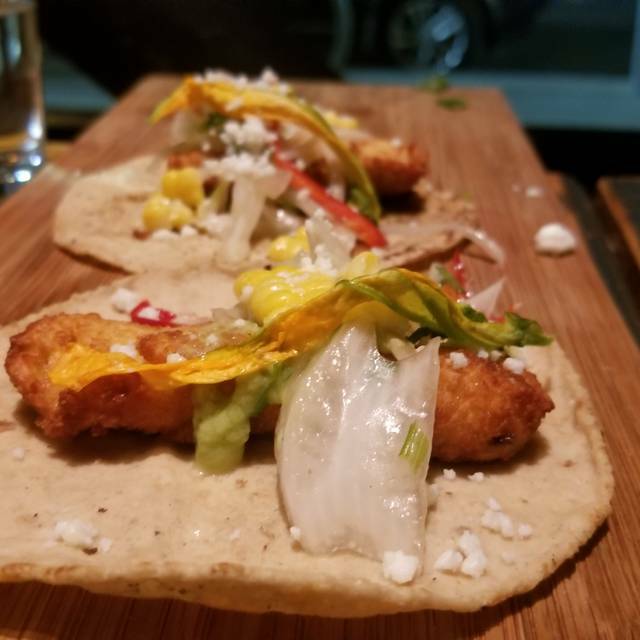 Using traditional ingredients and techniques, Chef Dario Patoja presents both new and familiar Mexican flavors with an inspired, modern perspective. Calavera offers a full bar with an extensive tequila and mezcal collection, innovative cocktails, and a 120+ bottle wine list. 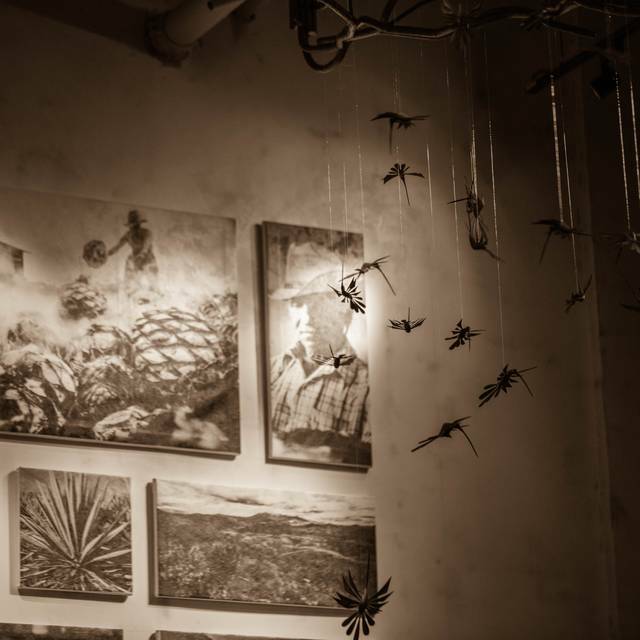 Come enjoy the spirit of Mexico in an artistic, comfortable environment in Oakland's uptown! 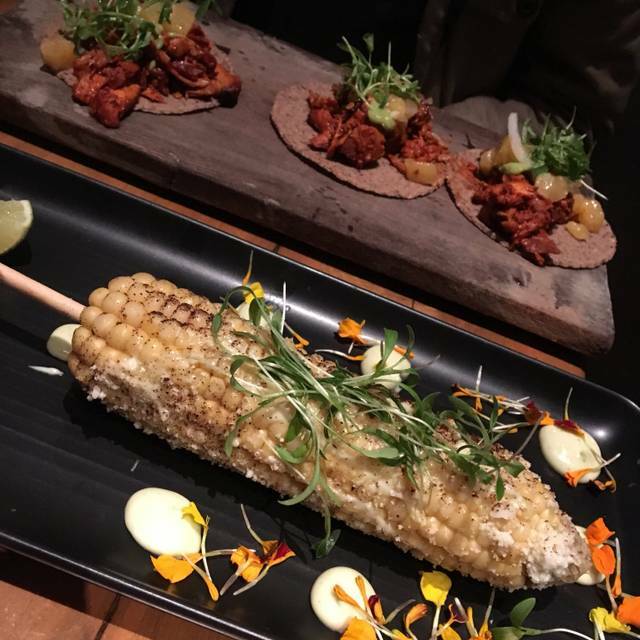 Very good, interesting and innovative Mexican foods. On the surface, it seemed a little expensive, but the entrees were huge, large enough for 2 to 3 meals. Great Mescal and Tequila inspired drinks. Good, not great. Drinks are inventive and fresh. Mole and bar b q sauces very good. A bit heavy on the oil on whole fish and tacos. Cheese dish should have been hotter. Ditto for the coffee. We ate out on the porch which at first we thought we did not want to do. The lovely hostess showed us and it was quieter ... and she treated us to our chips and guacamole because of our misunderstanding. The food was fabulous... from. margaritas to tacos and apps. We will return! Nothing special. Beans were good but we didn't receive them until we pointed out to it server that we were given a duplicate item instead of our order. Staff didn't seem invested in customer care. Outstanding lunch. The menu is very interesting and I hope to sample several other items. It is more expensive than most Mexican restaurants but the quality of our guacamole and two kinds of tacos suggests that it is well worth it. The whole area is very "hipster" and it costs $8 an hour to park in the lot but it is fun. Wonderful! Food and service are always top-notch! I came to Calavera for my 50th birthday and had a great dinner with 6 friends. The service was above and beyond warm and welcoming. The food and drinks were delicious and the ambiance makes for a special night. I would highly recommend Calavera, the staff there made my birthday memorable and fun! The tacos were awesome. The cocktails were all very sweet but interesting. Had a great time. Our waiter was very knowledgeable and gave us great recommendations. Food was excellent-We will be back. Food is fine, but definitely not amazing. We got really bad service though, our drinks only arrived after our second dish... and we had to ask for them at least twice. Then, once we finally finished our dinner, they asked whether we wanted desert. We said we’d love to see the menu, but when it hadn’t arrived 20mins later and weren’t able to attract attention we had to just walk over and ask for the check. Also it was cold, they kept the side door to the terrace open, which on a rainy day in March just made the whole place unpleasantly cold. It’s surprisingly crowded and maybe others got better service, but personally I wouldn’t return. I’ve been there before prob a year and a half ago and remembered it to be very nice, but seems things have changed. Sunday evening and they were missing multiple items in the food menu and drinks menu. Server was new and was struggling to keep up with things. It was an OK experience but nothing we would like to repeat anytime soon. Great food, varied menu, everyone in our party loved their dish. I really enjoyed Calavera. Food was well prepared and tasty and influenced by Oaxacan style cuisine. Service was excellent and so was the selection of Tequilas and Mezcals. The restaurant had a great vibe and was very busy when we arrived at 8pm. Our food came out very late - 20-30 min/ dish and we were trying to eat the dishes together. Had a huge chunk of cheese that wasn’t melted in the refried beans - totally gross. The host was sweet and tried to fix things and discounted us some . Overall , I would. Or go back or recommend this place!! 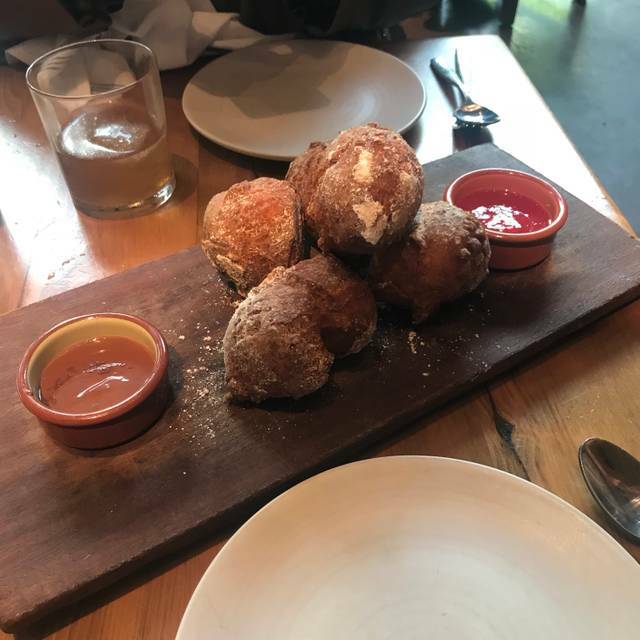 Appetizers and small plates were good, but not spectacular. The Chicken mole entree that we had was less than mediocre. Tasteless pieces of chicken with a two dimensional mole sauce slathered on top, with equally tasteless rice. Drinks great. Service very good. Food excellent except the rice and beans were way, way too salty. Almost inedible. The food is nothing special and the noise is so deafening and will not go back. 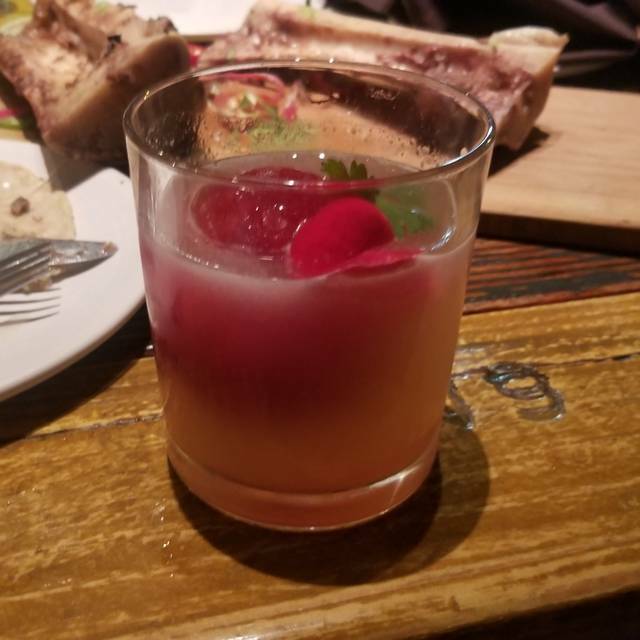 I tried several items off the happy hour menu and was pleased with service and taste. The food is authentic . I tried 3 different type of taco an each was artistically presented with complementary flavors. Really good and fun! Food was poorly prepared and tasteless. Nachos included thick chips with hardly any content to top them. We were in a timeslot where our party of 9 could only order from the bar menu and it was both unappealing to make a selection and horrid once served. It is not a place to reserve for a family meal and expect timely service or creative takes on Mexican fare. Should offer drakes beer they’re next door! Calavera food, drinks and service are all excellent! The offer a delicious high-end twist to mexican food. On Saturday night, it was a bit loud, but otherwise a thoroughly enjoyable experience. Everything we ordered was amazing and the service was top notch!!!! This place is pleasing from the outside looking in thru the huge windows, the decor is wonderful, and the aromas are enticing. It's warm and inviting. We shared the guacamole, ceviche, and carnitas tacos; everything was delicious and the best (and simplest) ceviche I've ever had. The cocktails were great. The only reason for less than 5 stars is that despite having a reservation, we were made to wait in line with several others who did not. Had we been greeted nicely with "I understand, we are busy and will do our best to honor your reservation as best we can, thanks for your patience" instead of brisk directions, I would gladly put 5 stars! 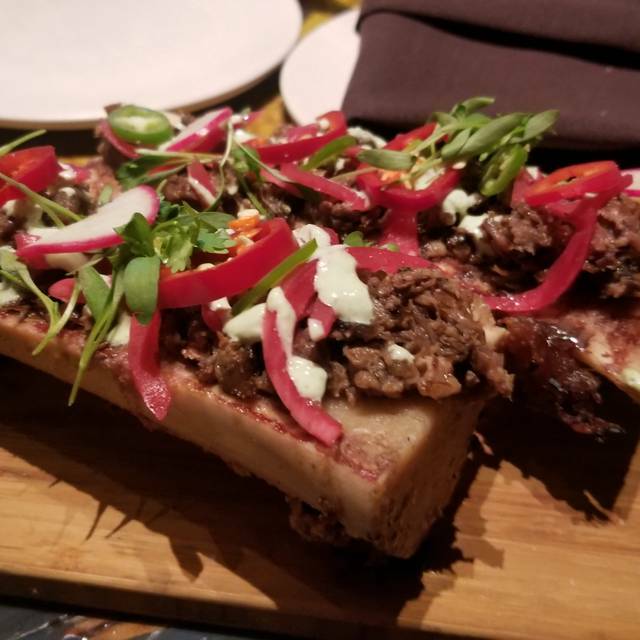 Calavera is a lovely gem of a restaurant. It's walking distance from the Fox theatre and other great spots in downtown Oakland. The ambiance was chill with a really sweet heated and covered outdoor setup, the waitstaff was amazing, the food was delicious, and the margaritas were fire. Highly recommend this place! 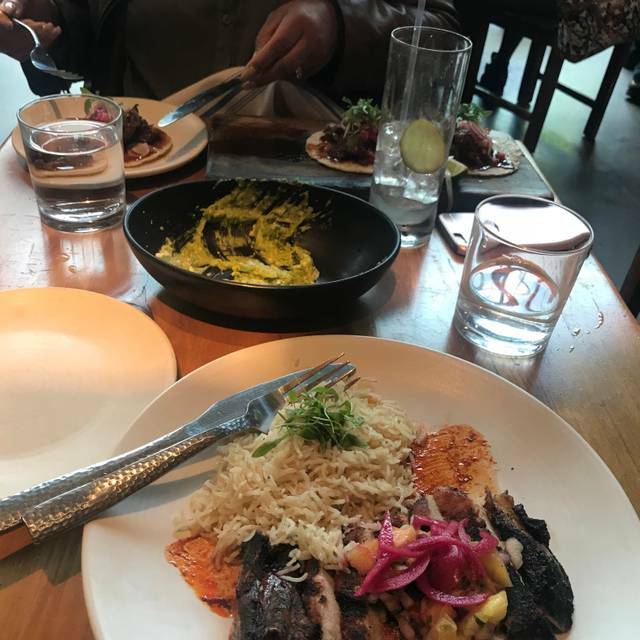 Some of the best mexican food we've ever had, along with very tasty margaritas, in a beautiful, cozy space, complemented by friendly service. Too pricey to be a regular spot for us, but definitely a place we want to go back to. We may have hit it on a bad night but the service was not great. Our waiter made a few mistakes on our order and really did not know what he was doing. Food was good but not great. The food was good it would have been nice for the waiter to tell us that the “chips and guac” he offered us right when sat down wasn’t complimentary. The Choros for dessert were amazing!! I’m ambivalent to recommend Calavera. I find it way over priced for what you get. I prefer Agave. Great service. The brunch was really good, with churros and huevos rancheros and Bloody Mary, but the chimichangas were not great. This was our 2nd time to Calavera, and was as wonderful an experience as the first time. Two of us had the Chicken Chilaquiles and one had the fish taco. The Chilaquiles were very large portions and the tacos not so much (3 tacos and didn't fill up the husband). The restaurant got very busy around 12:30 on a Sunday, which made it more lively and enjoyable. We will return whenever we are in the area. Our second time there. Drinks and food consistent and very good. 7p was super busy and loud, but died down a little after 8. The hard, flat wood chair seats definitely say to your glutes, "Don't stay too long, we like churn during the night." We’ve been here several times and have brought different friends with us. The food is creative and has some nice flavors. We enjoyed the tuétano as it was quite uniquely prepared. The queso flameado with huitlacoche was also good. I wasn’t a fan of the guacamole because it was bland. I really liked the pork chop and the pollo in mole was pretty good. The Chile relleno was tasty, I think ...? ! After one bite, the Chile sunk into a bath of bean purée which bludgeoned any flavor the chile may have had. Desserts were not really very good, though it is difficult to make a good tres leches. The arroz con leche was a little too undercooked. All in all the food is worth a first visit. But we’re going to forego future visits with friends despite the food. We’ve put our finger on the reason. The waiters are not very friendly or even pleasant. On top of that they’re not particularly efficient either which is important to us when we choose a place in which to spend time dining and spend money. We waited 30 minutes for drinks which I watched being prepared long before they arrived. And they forgot a variety of things we requested. These things put together actually take away from the otherwise nice dining ambience we enjoy. Great food! Waitress accidentally charged us for 2 more taco plates than we ordered, but took care of it for us when we told her. However, we did mention we were in a rush to make a flight, so it was unfortunate that this took an extra 10 minutes. Water was refilled super quickly every time our glass was empty. The tables are semi close to each other so unfortunately we could hear the entirety of the conversation of the two gals next to us. Besides those downs, I would come back again!